Norway is a land of divine beauty that brings one closer to nature. It offers plenty for visitors to do including skiing and hiking. Norway has always been known for its scenic beauty highlighted by fjords, mountains and glaciers. 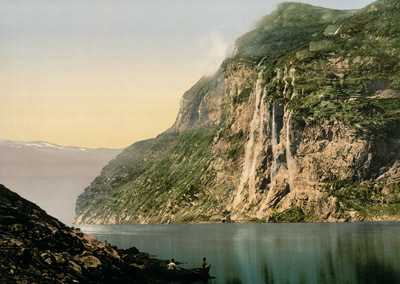 Fjords are defined as a very thin, long, and narrow bay in a valley made by the glaciers. Visiting the fjords of Norway is considered to be a great outing for tourists and locals alike. The best time to visit this place is from May through September. Bergen, which was once the capital of Norway, is located between seven mountains that are called the Gateway of Fjords. Norway is very rich in its flora and has a storied historical past that attracts tourists from all across the globe. Visitors come from many places to feel the thrill of traveling alongside cliffs as they pass by the fjords. The largest and most famous fjord in Norway is called the Sognefjord. It is 1,200 meters deep and 200 kilometers long. While visiting, one can see fresh waters, clear skies and bright vegetation. Planning to trip to this Fjords by a cruise. Where do you suggest is a must see site tour?